Evil Dead 2: Dead by Dawn (1987) is a parody sequel of Sam Rami’s 1981 film that begins with a revised recap of the events of the first movie. The background provided introduces the Necronomicon Ex-Mortis (Book of the Dead). Similar to the Lemarchand configuration (Hellraiser, 1987), the Book of the Dead serves as a passage way to an evil dimension. Having disappeared in 1300 AD, Professor Knowby discovers the book in the rear chamber of the Castle of Cantar. The film depicts the events of Linda, and a group of “uninvited guests” upon discovering the Knowby tapes in a cabin in the woods; translations that have resurrected a spiritual presence (deadites) that can possess the living. Evil Dead 2: Dead by Dawn serves as an opportunity to teach the Dissociative Disorders. After Linda is possessed by the deadites, Ash decapitates his girlfriend and buries her in a shallow grave. While defense mechanisms such as denial and projection (anger) are characteristically associated with bereavement, Ash demonstrates another ego defense, dissociation. He is grieving while holding Linda’s charm when he sees the piano play itself. The piano being experienced as unreal and dreamlike is a sign of derealization (defining of Depersonalization/Derealization Disorder, a type of Dissociative Disorder). What follows is one of the most iconic scenes in horror film history, and one that serves to reinforce the Dissociative Disorders. Ash’s derealization continues when he reaches out to touch a chair rocking by itself. He then experiences detachment with respect to his body (hand). During his depersonalization, his “alien hand” smashes dishes and punches himself, rendering him unconscious. This particular form of Depersonalization/Derealization Disorder is sometimes referred to as the Alien Hand Syndrome. Finally, the movie also follows Jungian psychology and the hero archetype; the hero from the sky (Good Ash) who is prophesized to destroy an ancient evil. Evil Dead 2: Dead by Dawn parallels other movies depicting the hero archetype including Donnie Darko (2001). Darko, a movie about a first-break psychosis, introduces The Philosophy of Time Travel; a manuscript “to be used as a simple guide in a time of great danger” (universe to implode). 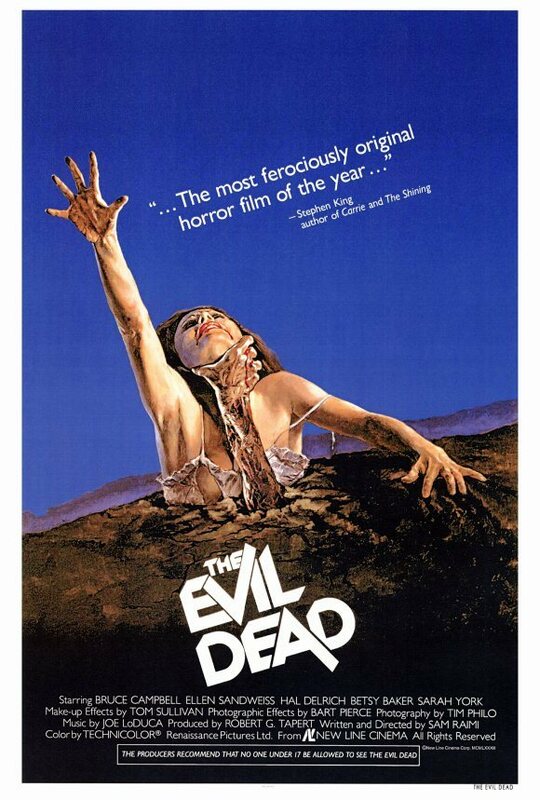 The guide defines the necessary elements and “players” for time travel such as the “manipulated dead.” Hence the parallel (pun intended) between Darko and The Evil Dead 2; the latter being a film that eerily follows The Philosophy of Time Travel, as Ash (living receiver) battles the evil (manipulated) dead, after reciting passages from the Necronomicon Ex-Mortis (artifact). For a truly unique movie experience; a) watch Donnie Darko, b) read The Philosophy of Time Travel, c) re-watch Donnie Darko, then d) make it a double feature by watching Evil Dead 2: Dead by Dawn.